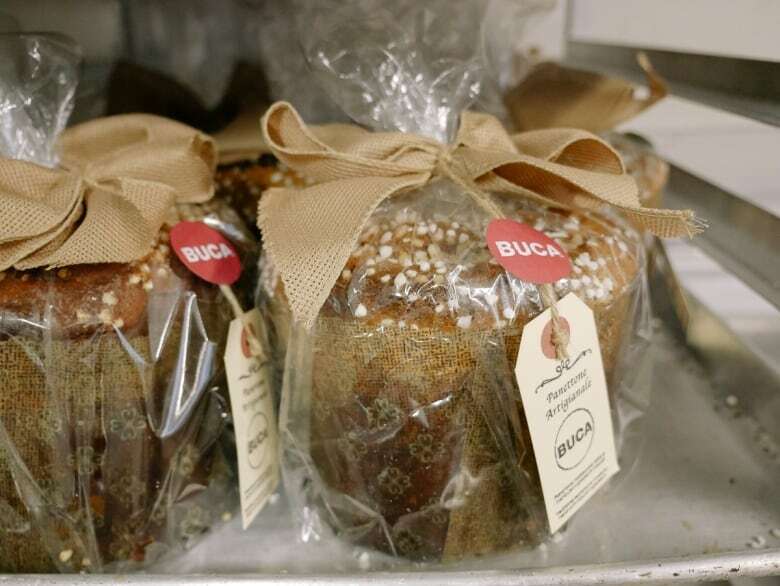 The original Buca restaurant location is at 604 King St. W.
If you spend a considerable amount of time on Instagram these days, you may have noticed that the Italian fruit cake known as panettone is experiencing a bit of a resurgence. The sweet bread from Milan is a topic of conversation amongst pastry chefs and foodies and is a hot item this holiday season. "It all comes down to the butter. It's all about the butter. Rub your fingers over a sliced panettone and you can feel the butter on your fingers," pastry chef Carlo Lazzarino said to me in his prep kitchen at Buca restaurant. 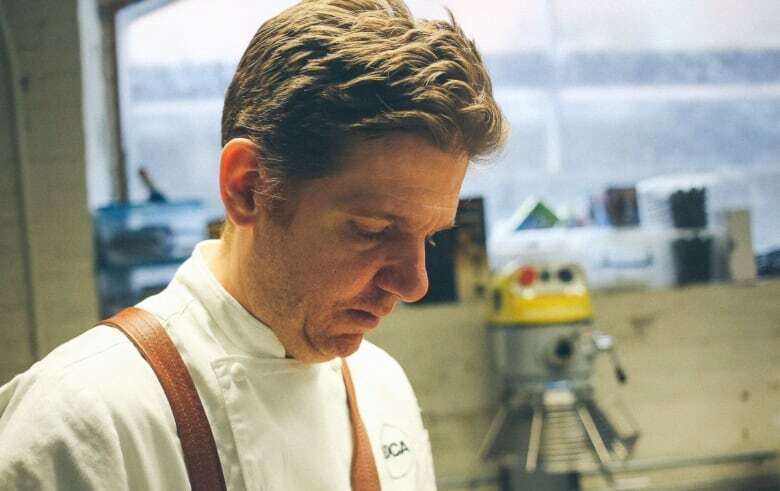 Lazzarino is the executive pastry chef at the Buca restaurant group in Toronto. When most people think of panettone, they immediately think of dome-shaped boxes that line the checkout sections of grocery stores. An army of colourful boxes designed as gift boxes, and there's always a large photo of the fruit bread front and centre on the packaging. I've always assumed that panettone was an afterthought, something you pick up as you checkout because it slipped your mind to pick up a gift for a holiday meal you're attending. My introduction to panettone was at a holiday meal with Italian friends growing up, and it wasn't memorable. It was that awfully packaged baked item from the grocery store. I remember breaking off a piece of what felt like parched bread, studded with an assortment of dried candied fruit and deficient of any flavour. While my experiences weren't memorable growing up, I do remember that they were a very versatile product. We would dip thick slices of panettone in eggnog (and then eggnog and rum in my 20s) because it would bring the bread to life. Sometimes we would toast the bread and rub an excessive amount of butter on it to make it palatable. This is how I remember the leavened fruit bread, which reportedly originated in Milan about a century ago, and possibly dates back to Roman times. Until recently. 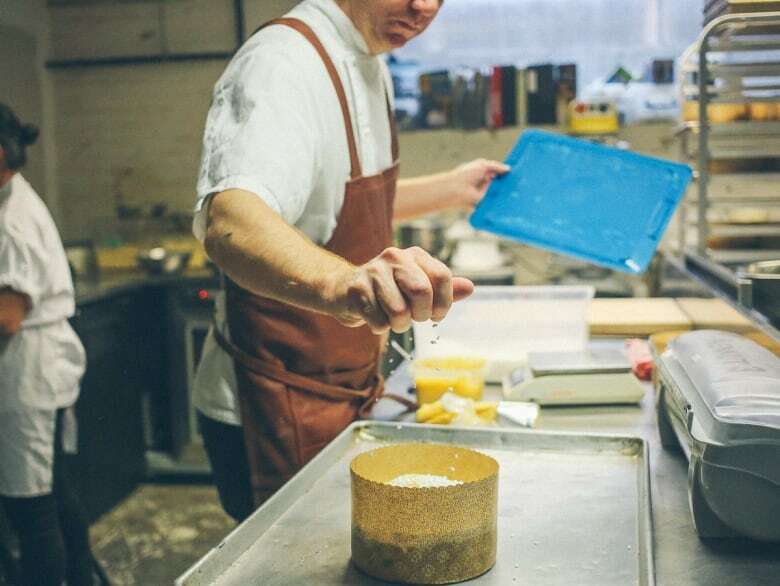 About a year ago, a small collective of chefs across North America started to experiment with the leavened cake to bring it to new heights. "It's seen as the pinnacle of baking in my industry, the holy grail," Lazzarino said. 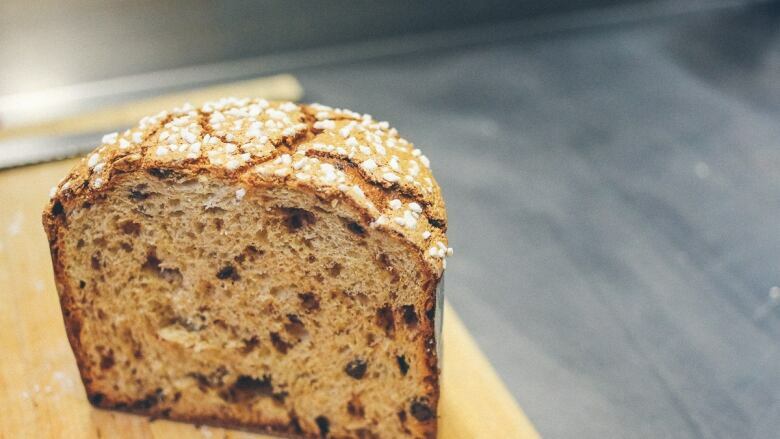 Chefs describe the process of making panettone as one filled with many trials and tribulations. It may take up to four days to make it properly, from working the dough to the right state of ferment, dressing it, baking it and resting it. 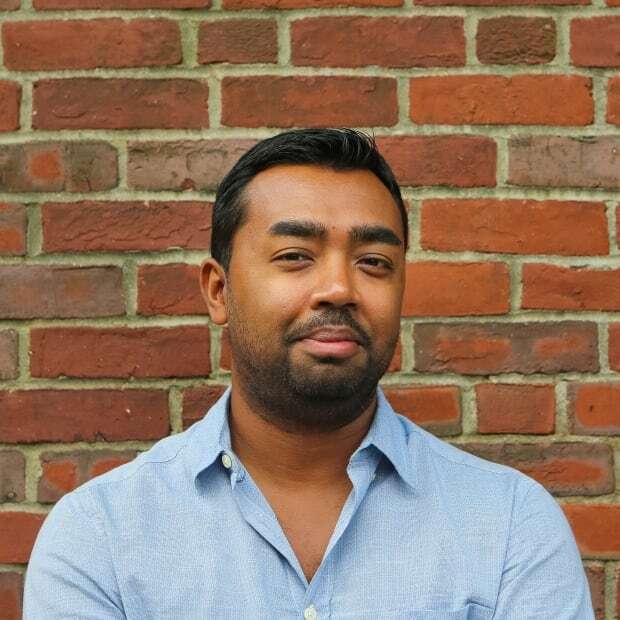 "It's a very visual process, and maybe that's why it has become so popular. Something so difficult to master, but every step is very visual and social media really shows that," Lazzarino explained. 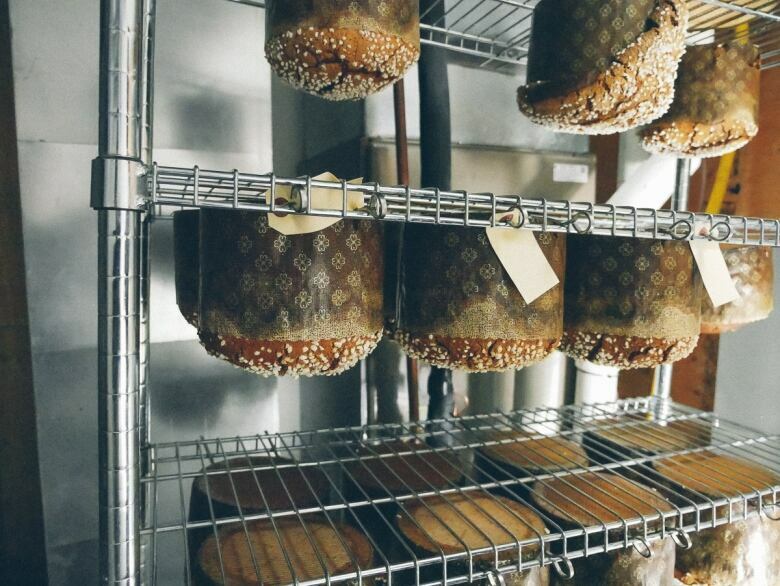 In the last year, pastry chefs Roy Shvartzapel and Jeffrey Finkelstein started to document the baking process on Instagram. They show each stage of the bread making process and highlight luxury ingredients that chefs were using to jewel their panettones, which included Iranian pistachios to small batch milk chocolate. Inevitably this created a cult-like following for the sweet bread. "It's insane, people can't seem to get enough of it," Jeffrey Finkelstein of Montreal's Hof Kelsten Boulangerie explained. 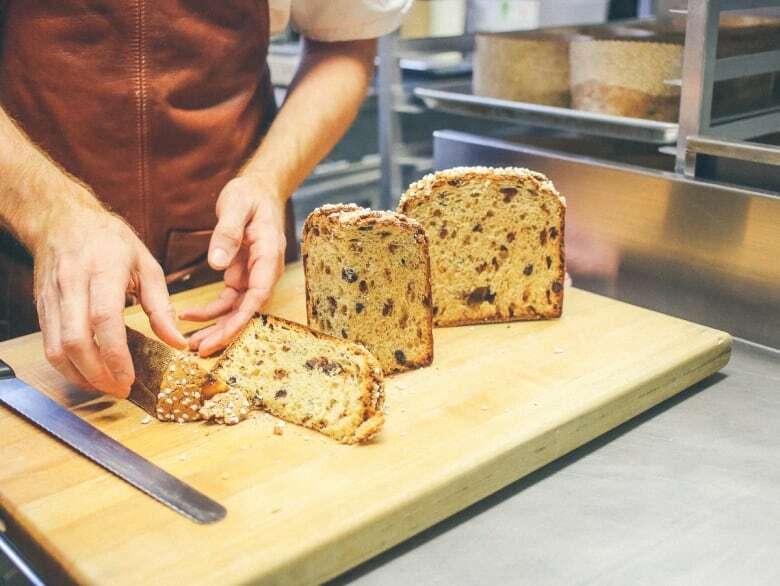 When Finkelstein started offering panettone a few weeks ago, the response was overwhelming. He said a line snaked around the shop and he was sold out within hours. "We received over 500 orders that day." Like most boutique panettone shops this year, Finkelstein offers two versions: one with chocolate and one with raisins, orange and lemon confit and marcona almonds. Intrigued by this resurgence and witnessing this online obsession for a fruitcake, I asked Lazzarino if I could shadow him and observe the process. "Panettone starts with the lievito madre," Lazzarino described while showing me a medium-sized bucket of sourdough starter. His personal batch that he has kept for many years, "I've been feeding this starter for nine years." 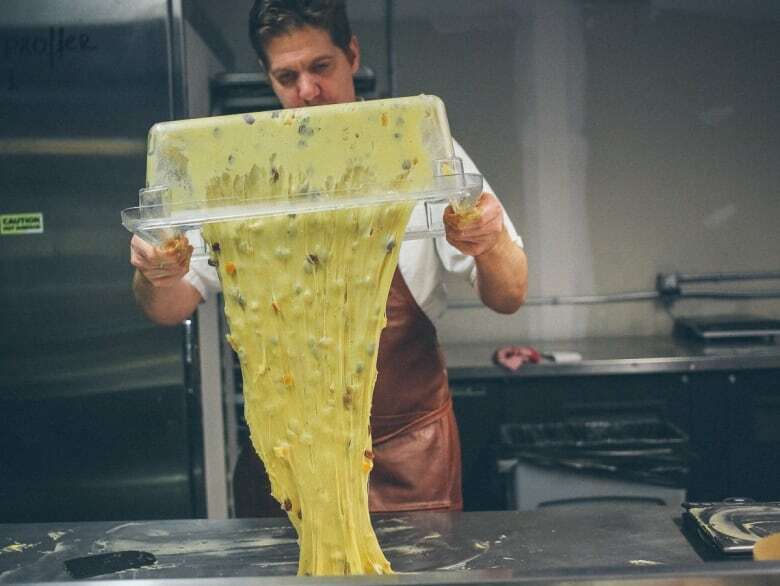 Lazzarino pulls a portion of the starter to create his first dough, he feeds it and then wraps it in a plastic cloth to restrict the expansion and the amount of oxygen the dough takes. "You want to steal the rising properties of sourdough but limit the sourness." 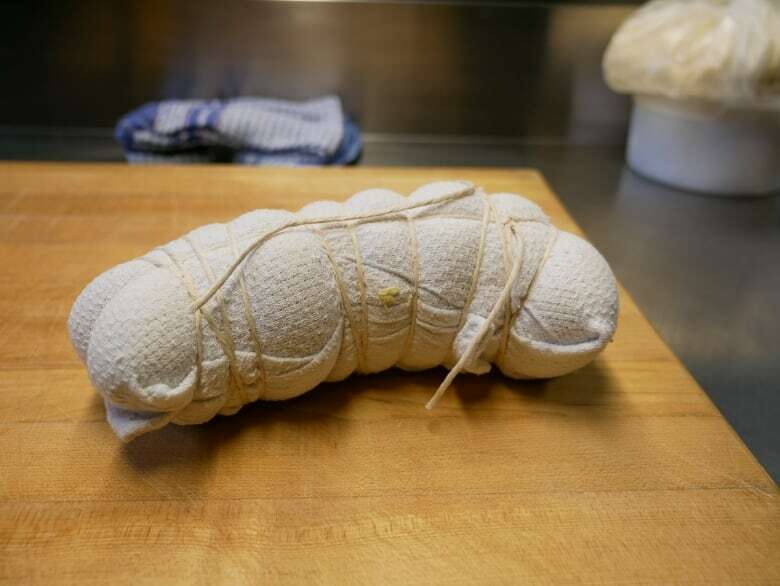 The dough rests overnight in the fridge, and the following day Lazzarino continues to feed it every three hours until it has reached the right consistency and texture he's looking for. "Once it's ready I use that yeast to make my panettone dough." 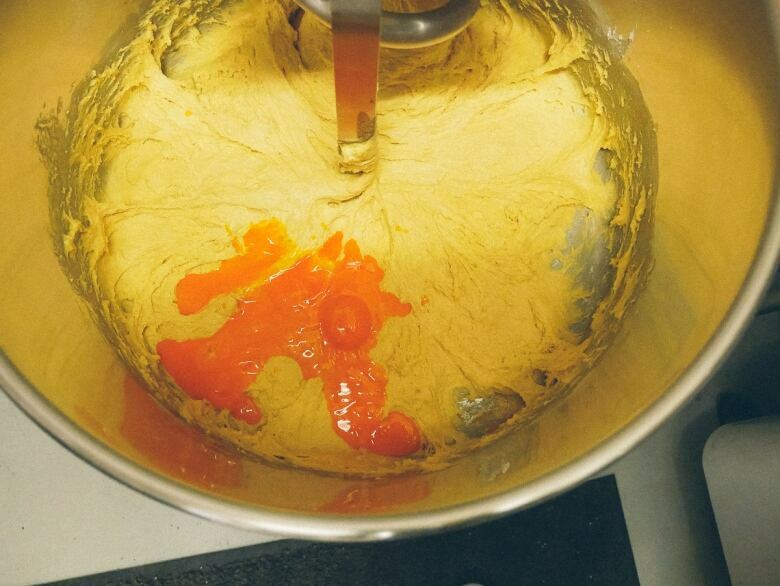 The dough is emulsified with a lot of butter and egg yolks and set to rest again until it rises. "I'm looking for something that is translucent but also soft." 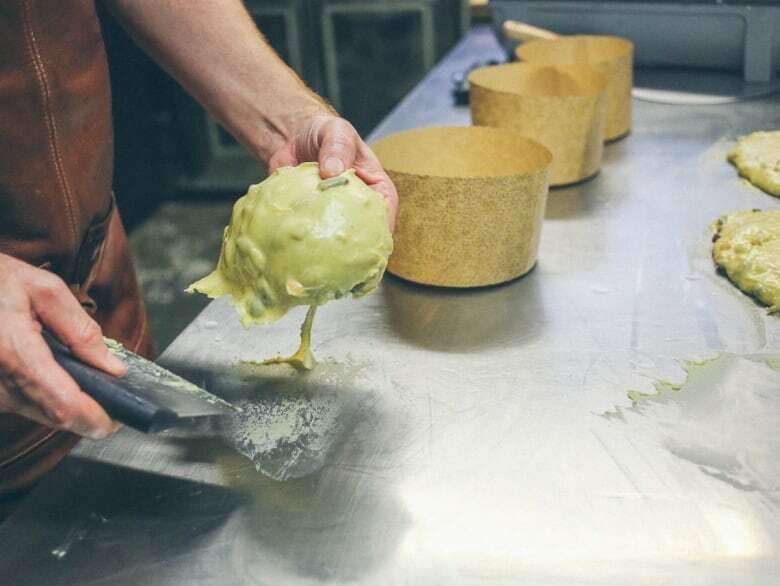 Once that batter is ready, Lazzarino creates a second dough with a portion of it, and mixes in his gourmet ingredients —chocolate or candied fruit that he's made in house. "I couldn't find high-quality candied fruit in the GTA so we decided to make our own," Lazzarino said. 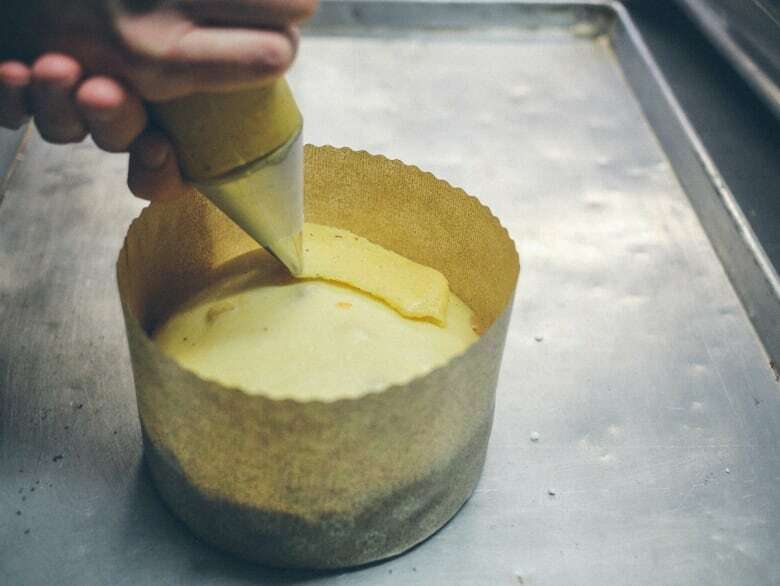 Lazzarino massages and pulls the dough before he places them in circular panettone molds. "At this point, the dough has to sit for another 12 hours before we bake it." After proofing further, the dough is then glazed. Lazzarino paints the dome of the dough with a puree of almonds, bitter almonds, hazelnuts, sugar and eggs. The laborious baking process doesn't end there. After the panettone is baked Lazzarino has to prevent the cake from collapsing when it rests. "You have to remember that it is like a soufflé, once it rests it will fall so we have to prevent that from happening." He passes two long metal skewers through the bottom of the cake and flips it upside down to hang it in a cooling rack. "I have to hang them in this inverted position overnight. It helps the gluten solidify and the butter crystallizes." After the cake rests, it's ready to go. The scents of candied fruits started to come out as Lazzarino carved the panettone down the middle and into thin slices. This is not the panettone I remember growing up, the sugary crust was full of nut flavour and the cake was airy and light. The cake was delicate with strands like the interior of a croissant and it has a velvety buttery texture that was accented by the candied fruit. You don't need any eggnog to enjoy this panettone, it's incredible on its own. "That's the best thing about panettone. You can enjoy it well into the holidays by making French toast with it, or you can simply dip it in some boozy eggnog." said Lazzarino.